Waterfront living is the best part of Southwest Florida. The beauty of the Caloosahatchee River, Pine Island Sound and the Gulf of Mexico, what more could you ask for? Fort Myers offers boating, fishing, beaches as well as boardwalks and shops, Fort Myers has some of the finest waterfront communities. 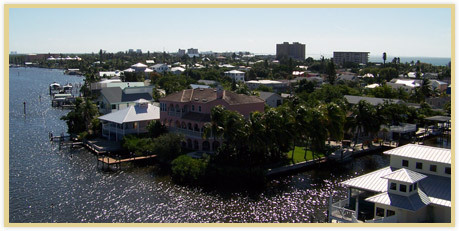 Fort Myers Beach is home to some of the finest homes and condos in Southwest Florida. There are seven miles of sand along our beaches. Fort Myers Beach is located on Estero Island. Guests visit Fort Myers Beach year after year to experience Estero Boulevard as well as the sugar-sand of the beaches. This is where most of the action on the beach takes place. A visit to Times Square, where you can browse the shops, enjoy the restaurants or just people watch. The Beach Pier is another favorite. Come enjoy the sunset from the Fort Myers Beach Pier.